Barely a stone’s throw from Manchester’s bustling transport hub that is Piccadilly station lies the latter’s ghostly doppleganger: the disused Mayfield railway station. Opened in 1910 by the London & North Western Railway Company, this gigantic building operated as a relief-station for the overcrowded Piccadilly next door. In line with Manchester’s industrial decline, Mayfield was closed to passengers in 1960 and permanently shut down in 1968. After years of abandonment and numerous proposals for redevelopment, work began on dismantling the enormous structure in February 2013. 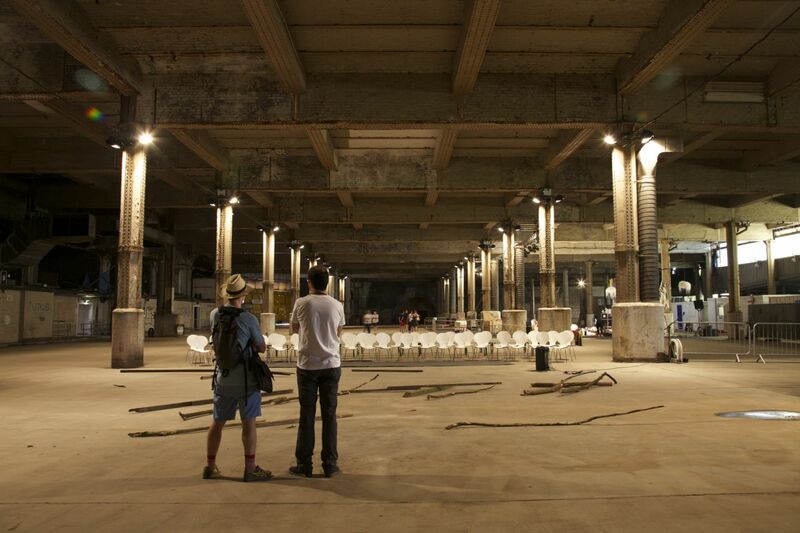 Yet, for two weeks in July, Mayfield was reopened for use as an arts venue for the Manchester International Festival hosting, in its cavernous spaces, a series of events: Massive Attack soundtracked a film by Adam Curtis; Eszter Salamon performed dance; and Tino Sehgal choreographed an installation. Sehgal’s work was located in a pitch-dark chamber at the back of the station: a disconcerting and immersive piece featuring monologues decrying consumerism and shamanistic dances that circled an audience blinded by the darkness. 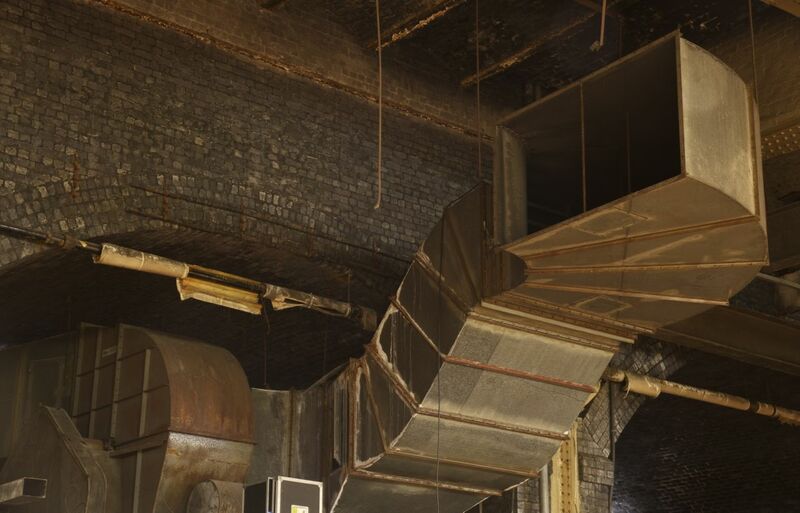 However, for me, the main attraction was the station itself: a vast series of brick-vaulted chambers supported on dozens of steel columns embedded in concrete bases. Long a popular space for illicit exploration, for two short weeks Mayfield opened its arms freely to all. With uncharacteristic summer heat outside, the interior of the station became a cool sanctuary, the sunlight filtered by blinds and seeping through numerous cracks in doorways and windows. Here, the otherwise brutal forms of functionalism unbound had the effect of creating a temporal displacement: was I, like W. G. Sebald in the ruins of Orford Ness, exploring the remains of some long-distant civilisation, the strange forms of the air vents and endless brick vaults leftovers of a enigmatic primitive culture? Or was I in the far-distant future witnessing the ruins of our own culture after its extinction after an unknown catastrophe? Sehgal’s performance seemed to enhance this sense of being catapulted into a different temporal realm – its whooping sounds and enigmatic statements offering something that seemed at once both primitive and futuristic. Such displacements are a common result of experiencing large-scale ruins. 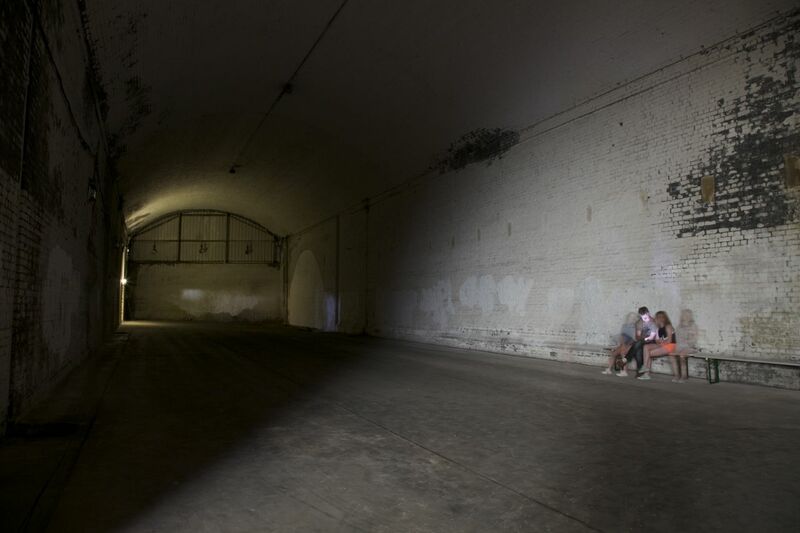 The dark spaces of Mayfield – cavernous chambers permanently shrouded in shadows – were more like vast underground tombs than industrial leftovers, exuding both threat and tranquility. Such feelings were heightened by the knowledge that this space will soon be erased, its spaces confined to the dark recesses of memory. Truly, this was love at last sight. Definitely a distinctly totalitarian space…sounds like a great event. Sad to have missed it. 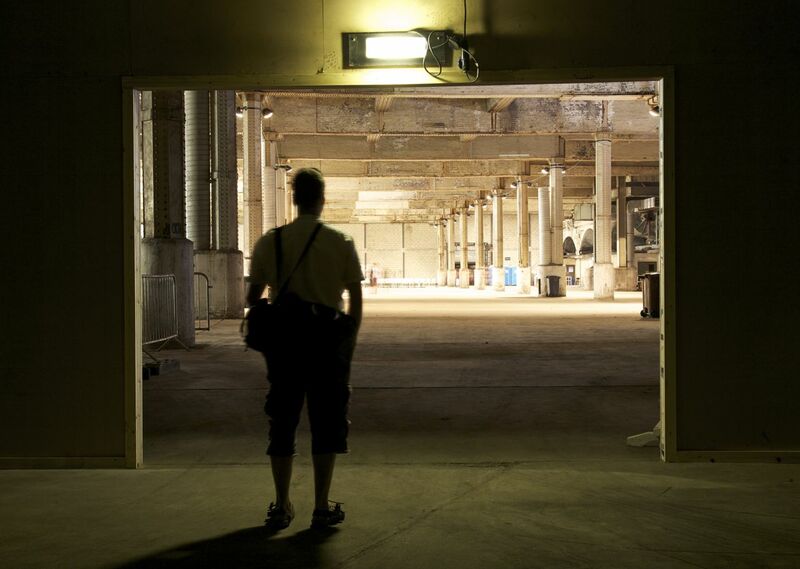 beautiful post, Paul; always been fascinated by this spectral space, as u enter Picadilly station; always thought was ex parcels depot( only) but only recently realised a functionning station pre-dated that; sad it is to be demolished(: I love the blurred images of people; very sebaldian. es, Sebald would have loved this space, being so fascinated with monumentalist, decaying architecture!I think decaying/closed railway stations are endlessly fascinating , from a (spectral) psychogeographical point of view, a subject I am particuarly interested in, as you probably know!I find the most eerily fascinating of all to be Birmingham Snow Hill, especially in its last days, a station as deserted as Mayfield, sealed off from 2 remaining, operative platforms; lots of stuff on Flicker and i even wrote this(serialised) story which enacts psychogeography in prose -fiction formhttp://decayetude.wordpress.com/2013/02/20/6th-march-1967-the-jolt-a-story-of-spectral-geography-and-uncanny-architecture-by-steven-benson/. That is the first instalment; there are links to the subsequent ones at the bottom of each page. Thanks so much for your reply, Steve. 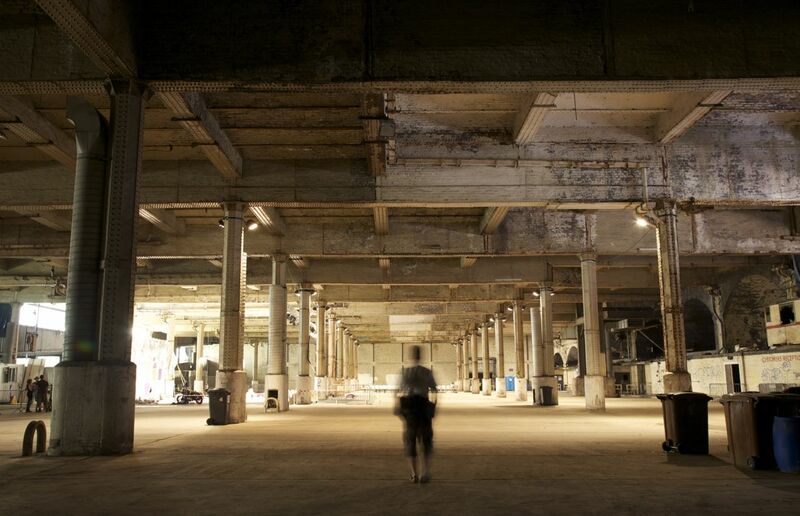 It really is an enormous space, in keeping with Manchester’s other industrial buildings. I’m guessing that Snow Hill went years ago? Any other evocative abandoned stations that are still up? Yes, Paul, the old Snow Hill finally gave up the ghost,operationally, in 1972, and was demolished in 1977. An interesting extant, actually operational station is what is left of the old part of Manchester Victoria, which has a half-collapsed roof, as a result of Bomb damage; it is a kind of spectrally liminal building, half dead, half alive(the trams go in and out under the damaged roof); there are also some remains of Manchester Exchange station which closed in late 60s, ie platform 3 at Victoria, part of the remaining original station, extends(still), in desuetude into the former Exchange station. Looks like this place might not be finished after all, Paul. 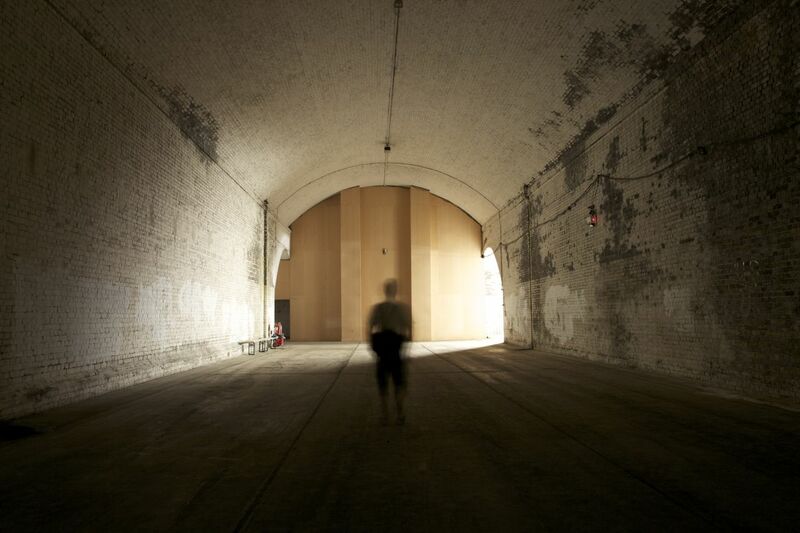 A planning application with all the hallmarks of the Warehouse Project is being considered. It’s a huge club in a warehouse that runs every year in the Autumn. They’re currently near Salford Quays, but were in a car park in the arches underneath Piccadilly before that. Given their history of moving so often, not sure it’s a full reprieve. Sounds like they make good use of interesting spaces. I guess it helps in the short term, which is better than nothing. But what can they do with such an enormous space? 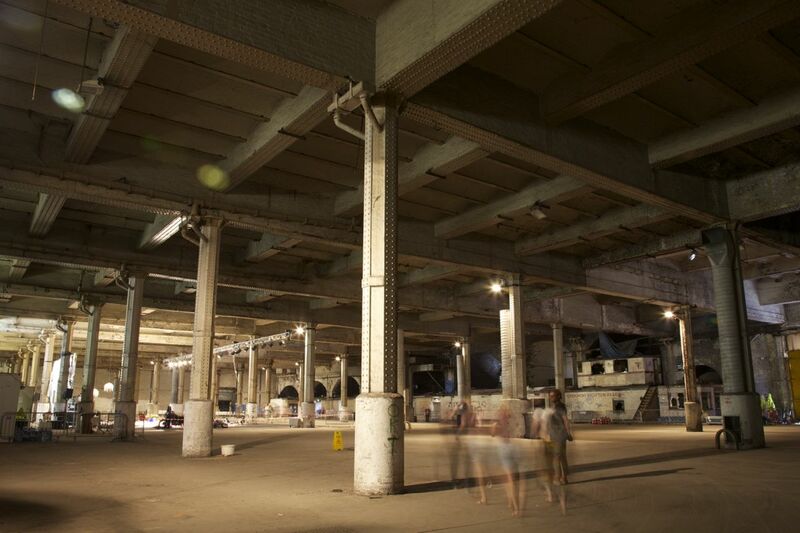 It is a lot bigger than the current space, but I went to a festival in Berlin last year and part of that was at http://www.arena-berlin.de/ The main hall there was a bus depot, and that one space (7000sq m) is more that twice the size of the current WHP venue (3000 sq m), so overall it’s probably a similar size to Mayfield.